The new MINI Clubman John Cooper Works presents itself in a particularly sporty look in the showroom of MINI Abu Dhabi Motors. 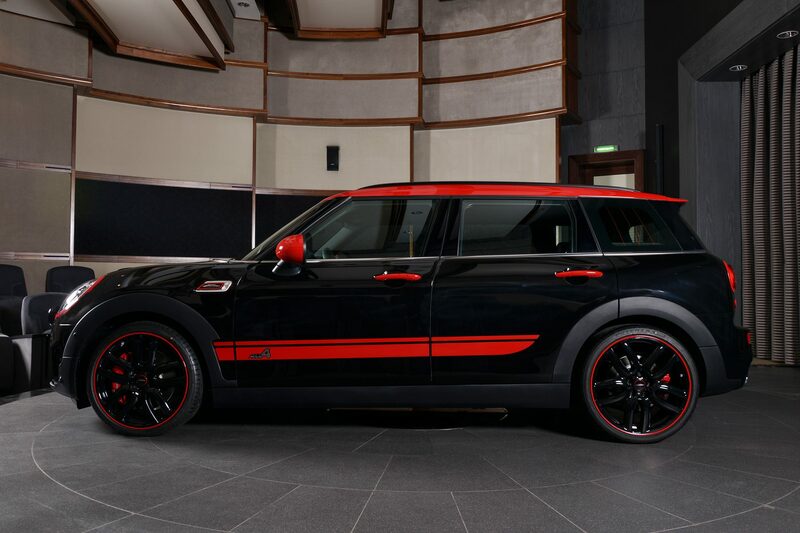 The black lacquer finish in Midnight Black is combined with numerous decor elements and accents in strong red which makes the Clubman much more aggressive. On the Arabian Peninsula, door handles, headlamp mountings, radiator grille and air intake frame as well as the wheel horns with the sporty signal color were upgraded in addition to the roof and exterior mirrors. 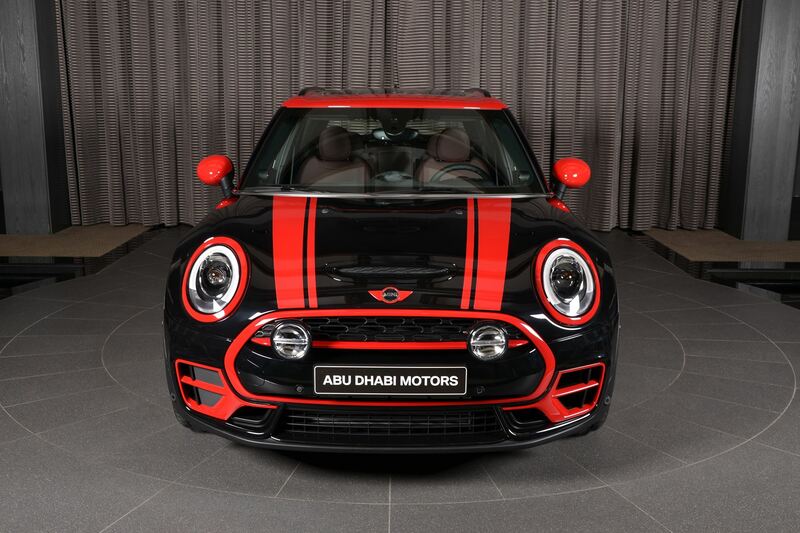 The first MINI for the compact class in its most sporty version is equipped with the BMW B48 engine, known from other models, which provides a powerful boost with a displacement of 2.0 liters and turbocharging. 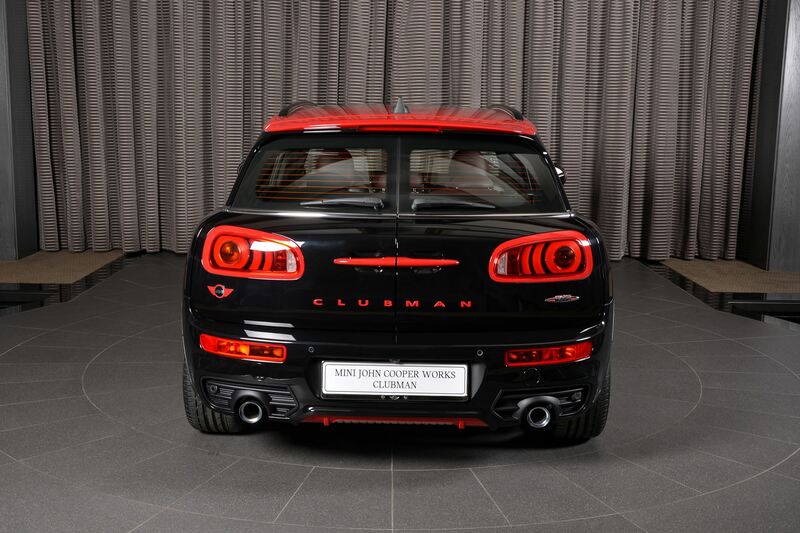 231 hp and a maximum torque of 350 Newton Meters bring the top clubman on par with the Golf GTI, thanks to the all-wheel drive ALL4 it offers even better driving. The MINI John Cooper Works Clubman finished the sprint from 0 to 100 km/h in 6.3 seconds, according to the factory, the top speed is 238 km/h. 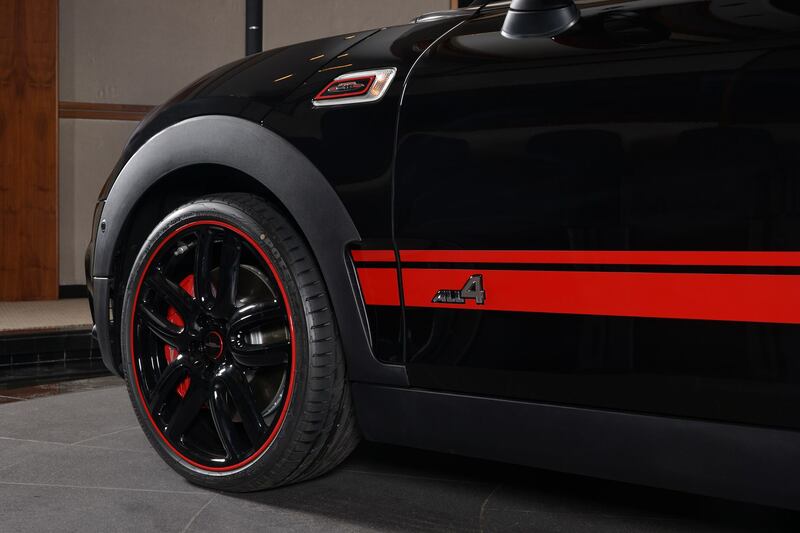 In everyday life, JCW drivers are likely to enjoy the early torque, as the 350 Newton meters are already available from 1,450 up to the 4,500 rpm mark. 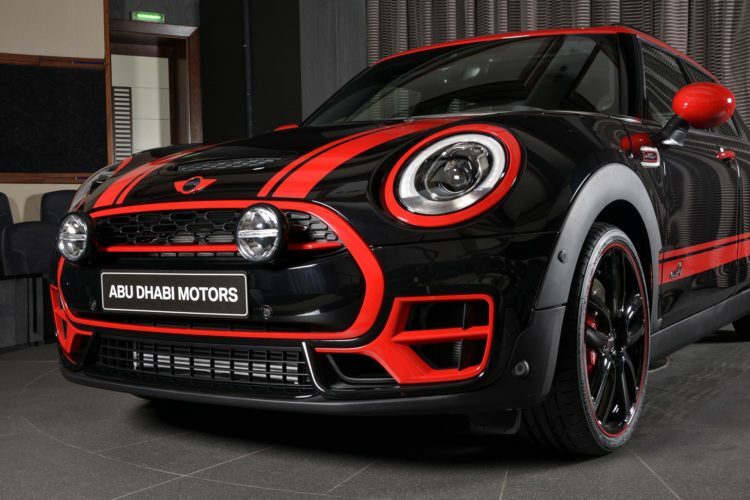 The top performance is also in a remarkably wide range, because the 231 HP can be enjoyed at every speed between 5,000 and 6,000 crankshaft revolutions per minute. 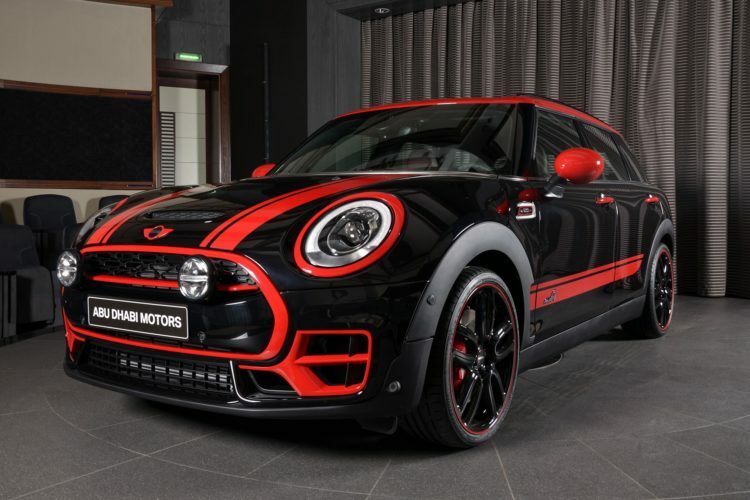 At the side of the powerful engine MINI is a specially tuned sports suspension, which is separated from the chassis of the weaker models in terms of kinematics and component stiffness. The top model does not have any modifications to the tried and tested basic design with the single-joint front axle and multi-link rear axle, but the tighter design of the spring and damper elements still provides for a richer road situation. 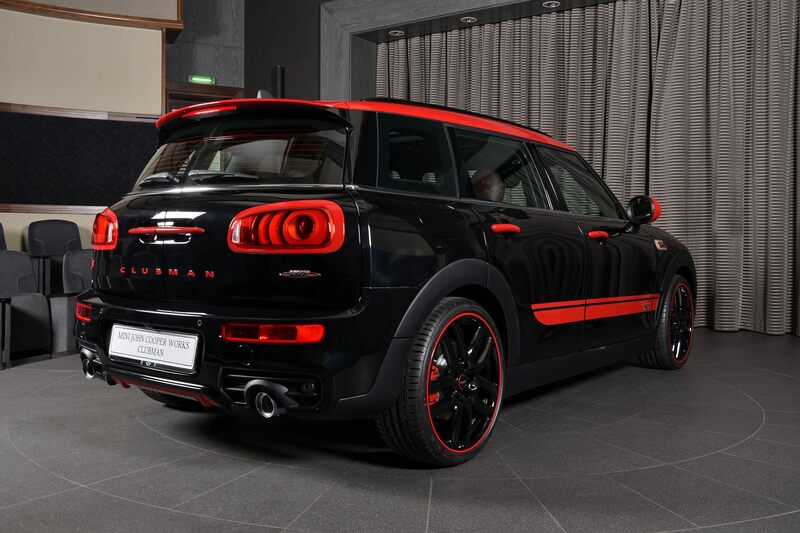 A Brembo-designed braking system with 4-piston fixed-caliper disc brakes contributes to keeping the dynamics of the MINI John Cooper Works Clubman secure.